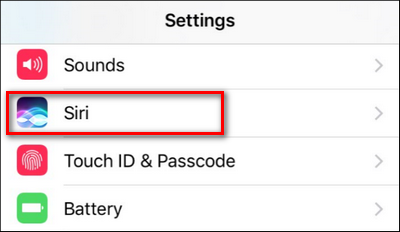 A behind the scenes feature in iOS 10, SiriKit, makes it easy for you to control and use your favorite apps with Siri–if you know where to look. Let’s set this new voice control up and take it for a spin. iOS 10 ushered in a framework for integrating their apps into Apple’s voice assistant, Siri. Historically, the only things you could control with Siri via voice commands were Apple apps and HomeKit accessories integrated into the HomeKit system. The closest you could come to actually “controlling” a third party app was simply launching it, because Siri could handle a operating system-based function like launching an application. So you could launch, say, the Uber app, but you couldn’t ask Siri to actually hail you an Uber ride without your interaction with the app itself. All that has changed now. If a developer wants to integrate with Siri, they’re more than welcome to do so. 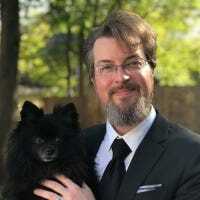 The only limitation on Siri controlling your favorite to-do list app, music app, or any other tool you think would be greatly enhanced by voice commands, is whether or not the developer adopts it. With that in mind, you only need two things. First, you need a device running at least iOS 10 with Siri enabled. Second, you need an application that supports Siri integration. Not sure if you do? We’ll show you how to check if any of your apps do and then point you at a few to try if you need one. Finally, you need to toggle Siri integration on for each individual app before it will work with Siri. Let’s look at all three now to get you up and running. Before we dive, in let’s double check that Siri is active and, ideally, turn on “Hey Siri!” for hands free control of our apps. Now you might be saying “Guys, I so know that Siri is already active”–well humor us. The path we have to take to complete the tutorial takes us to this menu anyway, so it can’t hurt to check on your way to the good stuff. Launch the Settings App and then scroll down to “Siri” and select it. Confirm that, at minimum, “Siri” is toggled on. 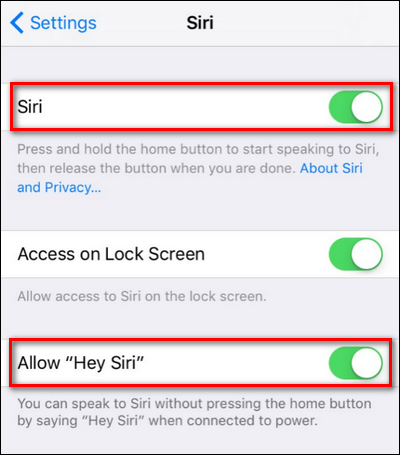 We also recommend turning on “Allow ‘Hey Siri'” for hands-free voice control when it’s plugged in and charging. Once you’ve confirmed that, it’s time to turn on app-to-Siri integration. Siri, rather practically, doesn’t automatically turn on support for all apps on your phone that support Siri. After all, why would you want random extra voice commands that you have no intention of using (but that might trigger accidentally)? As such, you’ll need to scroll to the bottom of the Settings > Siri menu we were just in and look for the entry “App Support”. Select it. In the “App Support” menu, you’ll see all the apps installed on your device that support Siri. Toggle any apps you want from the default off to on. Don’t have anything in your list yet? You could grab Confide or WhatsApp if you want to try out Siri-driven messaging, Uber or Lyft if you want to call a ride with your voice, Fitso or Runtastic to issue commands to start and end your workouts, or even send money to friends with Venmo or Square Cash. Unfortunately, finding apps that support this feature is a bit of a pain, as there is no search flag just for the function in the App Store–although at the time of this article Apple does have a featured category called “We love iOS 10 for apps”. Inside, you’ll find a sub-category called “Hey Siri” that is focused entirely on new Siri-integrated apps. No promises it will stick around forever, but for now it’s the only official place to see the total list of Siri-integrated apps. Now once you have an app, either by our suggestion or found via the list, it’s just a matter of double checking that it’s turn on in the previously highlighted “App Support” list and then triggering it with your voice. While the exact phrasing for each integrated app is slightly different–you’ll need to check the app description or developers blog for a detailed overview–they generally follow the same format wherein you invoke the name of the app and a related trigger. If you use the Runtastic app, for example, you can start a run with your voice by saying “Siri, start a 5 mile run with Runtastic”. 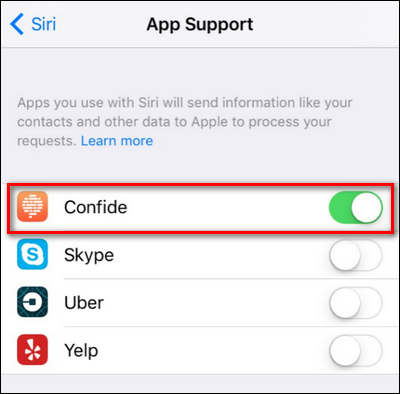 In the case of the messaging app Confide, you can use a natural language request like “Send [contact name] Confide message that says [message here].” like so. 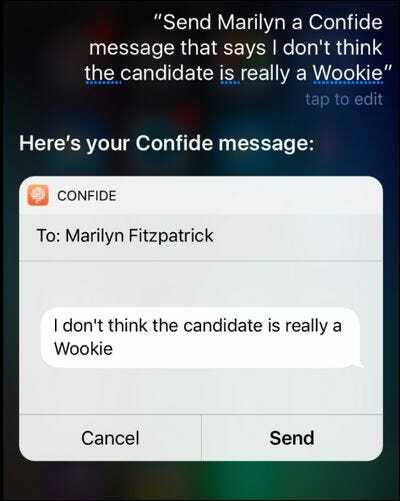 You can then either tap on the screen to confirm the message or, when prompted by Siri to confirm, say “Send”–and off the message will go to your confidential confidant. Although the market is still a fledgling one for Siri integration, it’s definitely a category worth keeping an eye on as more and more developers integrate Siri commands into their apps.